The Burton Deja Vu is pretty similar to the men’s Process Flying V and it offers up a pretty balanced modern all mountain ride in all ways except edge hold in medium to harder snow. Approximate Weight: Feels pretty normal and bordering on light. Flex: Feels pretty medium to med/soft from tip to tail. On Snow Feel: The Burton Deja Vu has that kind of stability that many like in softer snow but the harder it gets the loser between the feet it feels. This isn’t unique to the Burton Deja Vu but more a trait of all hybrid rocker boards. It can want to auto spin on you on trying to flat base along flat cat track or when one footing off the chair. It likes to be always on edge to keep it from auto spinning. It’s something that takes a little getting used to but the fact it is so catch-free makes it worth getting used to. In general, it’s harder to catch an edge with hybrid rocker boards like this. Edge Hold: It shines in soft snow and you will love it but it becomes a slippery mess in medium to harder snow. If you choose the Burton Deja Vu, try to get the edges sharpened because what comes out of the factory isn’t that sharp. Turn Initiation: It’s a very easy board to turn and although not super fast edge to edge you can make pretty quick turns in tight spots or trees if you match the board correctly to your boot size as well as other specs. Turning Experience: The Burton Deja Vu is fun to turn and although it doesn’t drive really hard in and out of the turn there is spring there and it’s fun to ride around. It’s pretty consistent on the fun spectrum when it comes to quick short radius turns to long wide S-Turns. Carving: Not an amazing carver but in softer snow you can lay it over and have a pretty rewarding turn. Speed: The softer flex and the nose/tail lifted off the ground can make the ride a little chattery. The Burton Deja Vu isn’t a big mountain bomber but it has enough speed for those that want to slow down and butter too. Uneven Terrain: The Deja Vu does a great job in crowded messy resort snow and if you want to ride all day it can handle it no problem. Powder: There is some directional float here with a 12.5mm/1/2 inch set back on sidecut. I think you can get a good bit more setback on board if you set it all the way back. The nose isn’t longer than the tail or anything like that but it’s got way more float than most twins out there because of this setback. Buttering: Very easy to butter and play around with. The hybrid rocker camber profile makes the board feel more playful on snow that it would appear when flexing it in a shop. Switch: So everything about The Burton Deja Vu is a twin except for the setback of 12.5mm on sidecut. So when centered you are basically riding this just like a true twin. We only call it a directional twin because of that setback but everything else about this board rides like a twin. Jumps: Nice snap off the tip/tail when it comes to an ollie and it’s good to have that mellow camber there. It pops pretty well between the feet too thanks to the Rocker and Burton really knows how to make a board with some camber in it pop well. You can also take the Burton Deja Vu into the park and just lap jumps all day. It does a very good job for those that like air. Jibbing: One of the better all-mountain boards for jibbing and although not perfect it really does offer up a good ride for those that like to dabble in the jib park. Pipe: If the edge hold was better this would be better here too but it’s hard to keep the edge set with the factory tune. Even after a good sharpening, it’s not going to drastically improve. 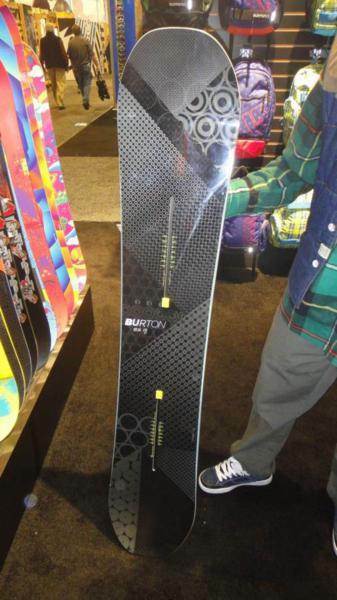 The Burton Deja Vu arrived in 2011 and stuck around. If you want something even more mellow and powder friendly than the Burton Deja Vu Camber then here is the best option for you. The Deja Vu is more all mountain than the the continuous rocker Burton’s but much more of a mellow freestyle ride compared to the Deja Vu Camber. On Snow Feel: The Deja Vu Flying V has the same general loose feel as the Burton Feelgood Flying V. It’s got a semi-stable feel in soft snow but get’s pretty loose in harder conditions. It’s got that butter, ollie and play around the mountain kind of ride. Powder: The Burton Deja Vu Flying V will make a powder day very easy compared to the Camber version. It can ride centered and float very well for those who like to ride switch but it’s also really good for setting it back all the way to get more directional float in the thicker deeper snow. Turn Initiation and Carving: Very easy edge to edge and very simple for any rider to turn. There is a little bit of a fun feel turning but it’s not as rewarding out of a turn as many hybrid rocker boards. Carving is middle ground to average. It holds most of the time in good to medium conditions but it’s no dedicated carving board. Better to go with the Restricted Deja Vu if you want to carve hard. Speed: Not like it’s camber sister here and it get’s pretty chattery. Uneven Terrain: Very easy with big slow speed bumps you have to encounter from time to time. Edge Hold: Not there with the grip like it’s there with the camber model and this is more of a soft/good conditions ride. Flex: Very buttery playful poppy flex that makes for easy forgiving slow speed play. Jibbing: Not bad here especially if you are on the heavier side of their suggested weight. It’s pretty forgiving and it’s not bad for most jibs. Pipe: Not that great here due to the limited drive wall to wall and the lack of edge hold. Still it can be pretty fun when the pipe is soft. Jumps: Very good spring for hybrid rocker. 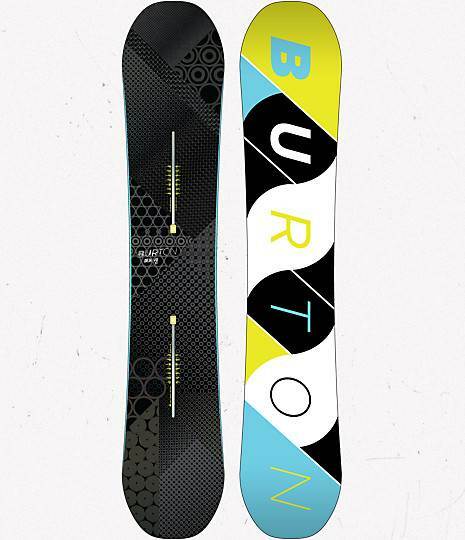 Burton just knows how to make boards pop. It’s a fun forgiving jump board that likes small to medium size kickers the best. If you want bigger kickers most of the time the Deja Vu Restricted Camber is going to be the call. 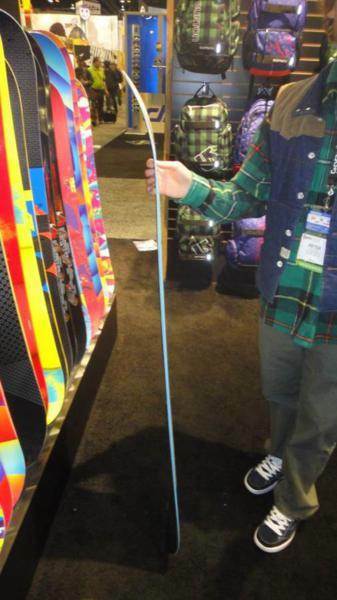 It would be fun to have this board for powder or soft conditions and the restricted camber for more aggressive riding moods and harder conditions. 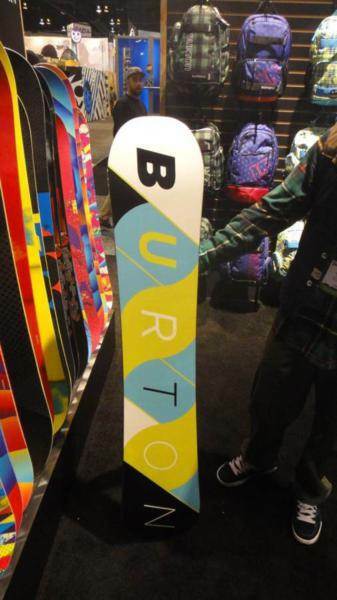 We try to get as many images of the Burton Deja Vu, but forgive us if they're not all there.